Daniel Negreanu is one of the most recognised poker players of all time. Learn how he came to be a poker legend right here. Daniel Negreanu is, without a doubt, one of the most recognised players of modern day poker. His huge personality and love for the game have taken him to top of the popularity scale in the eyes of poker fans and professional players. He was born in Toronto, Canada on July 26th 1974, and started learning poker when he was 15 years old. Negreanu often speaks fondly of the old style of poker grinding, no online, just pure live poker at his local casino. He would grind there like a 9-5 job, and he put less emphasis on how much he was up or down, and more emphasis on improving his game in the long run. This obviously worked out well for him, as he is widely regarded as one of the best poker players ever, with lifetime tournament cashes of around $18m. He is a regular on most televised poker tournaments or cash games, such as High Stakes Poker, Poker After Dark, and the EPT. Daniel Negreanu won six World Series of Poker (WSOP) bracelets and two World Poker Tour Championships. Global Poker Index (GPI) has recognized Negreanu as one of the best players of the past decade. Negreanu was also named WSOP Player of the Year for the year of 2004 and 2013. In 2014 he was also added in the Poker Hall of Fame with other well known Poker Legends like Doyle Brunson, Stu Ungar, Johnny Chan and others. 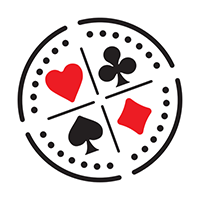 Great Poker Moments - Have You Got Heart? Pokerstars big game moment - Loose cannon David makes bold bluff against Daniel Negreanu. Whats in Daniel Negreanus Lunch Box? Daniel Negreanu talks to Kimberly Lansing before the start of Day 2 at the WPT World Championship. Negreanu and Nguyen go way back, and Daniel’s impressions of Scotty go back pretty much as far. A chatlog featuring Daniel Negreanu reveals that PokerStars’ top ambassador told players that his resignation was on the table if his paymasters didn’t fulfil their promise. When Negreanu Owned Esfandiari For $200k On PNIA! In a crazy series of straddle-over-straddle-over-straddled pots, the two went head to head again and again, like two pastel be-shirted highlanders. A re-dedication to the game of poker that began last October continues to take up much of Daniel Negreanu's time. Netflix is a full to the brim with great choices for your evening’s entertainment. There’s also plenty to pick from if you want something connected to poker. Even Chris Moneymaker needs help sometimes and he turned to 2015 winner Joe McKeehen to fine tune his game. Billionaire poker high-roller Cary Katz has started a $20million legal action against his own company. High stakes pro and keyboard warrior Doug Polk and, well, just plain high and newly-confessed drug dealer Dan Bilzerian are trading Twitter insults. From being relentlessly bullied as an ‘ugly and weird’ schoolgirl to a life as one of TwitchTV’s most popular gamers and a recent addition to the poker ranks.